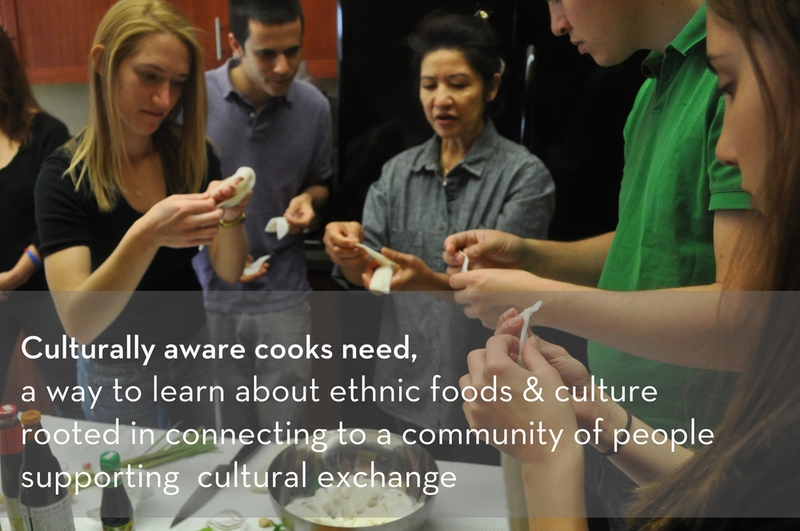 To spread culture through food and make it possible for anyone to learn and share authentic ethnic cuisine. We partnered with Whole Foods and other local community kitchens to offer small, intimate cooking classes lead by immigrants with a lifetime of experience, attended by foodies and focused on teaching the preparation of authentic, ethnic food. After months of classes, we were able to analyze what key elements made the classes work and used this criteria to explore other ways of recreating the class experiences in an effort to reach a national audience and build a nationwide brand. We then launched cooking kits, taking the best from our cooking classes and offering the same experience for students throughout the US to extend the reach of our cook’s great skills and cultures. Held 50+ classes, reaching 400+ students.